Yep, done the westerly, bit like the easterly except from the other direction. Running along the sand bar is flat but the issue is the town end at what would be the bottom of the run is a bit of a wind shadow so if you rig down at the normal spot you think the winds a lot less than whats out on the bar. Best bet is to launch from the other end. i prefer the Shoal Bay beach, very pleasant spot and you can still get flat water on the edge of the weed bank. Another option in a westerly would be on the eastern side of sand spit above Rushy Point at Little Grove. Have sailed it in W & WSW and it's smoother than Shoal Bay in a big blow. Access via Stubbs Rd then take a right onto Marine Terrace, with a nice grassy rigging area and a picnic table near the water. Hey woody have you tried Australind in a westerly? if the tide isn't too high it can be loads of fun. Hey Mike, I haven't sailed Australind yet. Speaking to Boz today I guess a low tide would be best? But not too low. 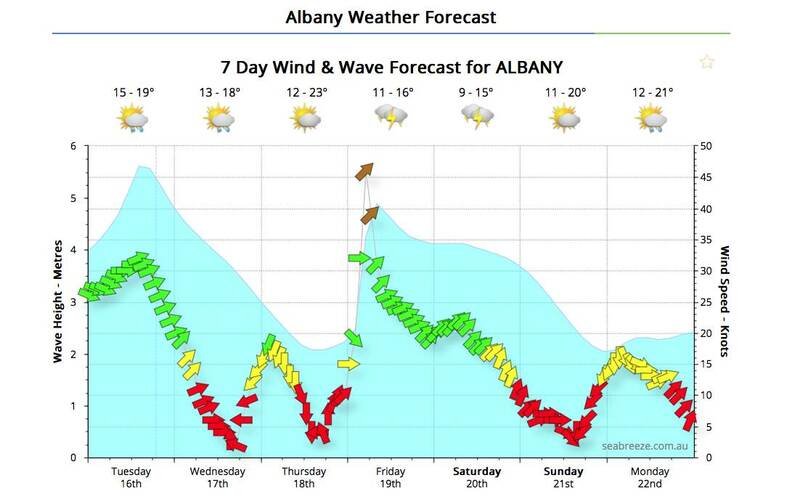 Look at Friday, windy and low tide. I have been to shoal bay in a west. It was pretty nice A bit gusty but perfectly doable. 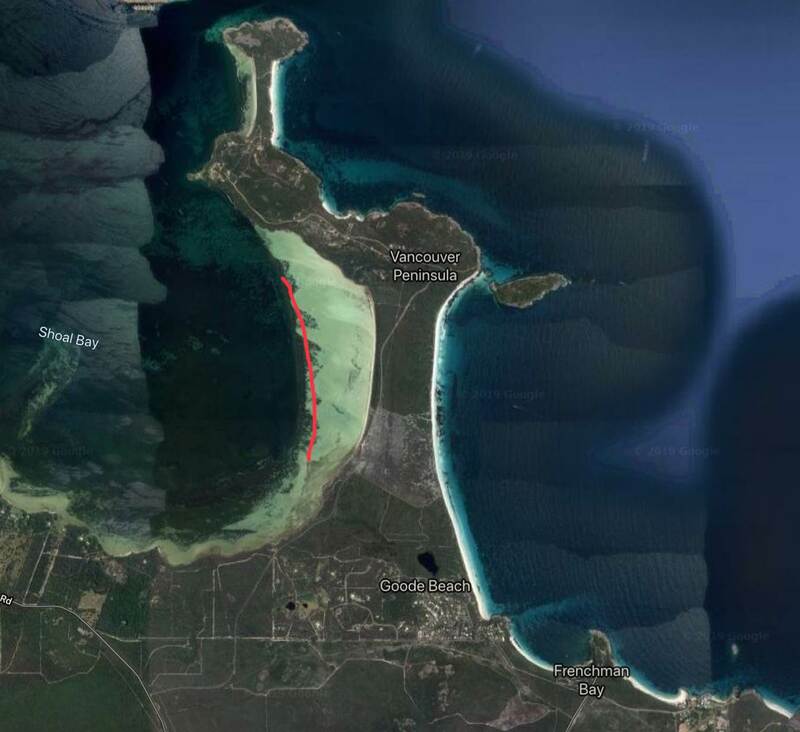 One of the issues you will have at Shoal Bay in a Westerly is the tide. Typically when the pressure drops you get a +ve storm or low pressure surge & if the wind is strong enough it will also push a bit of extra water in. www.transport.wa.gov.au/imarine/albany-tide-and-wave.asp +20cms at the moment. Once it gets up too high you can't get onto the beach/weed area to rig & are left to do it on the roadside or in the small parking area. There will also be no flat water. Looks like you can try all the spots out over the next few days and report back, but hang on!